Light weight and compact these are the perfect accessory to have when venturing to new places and enjoying the great out doors. 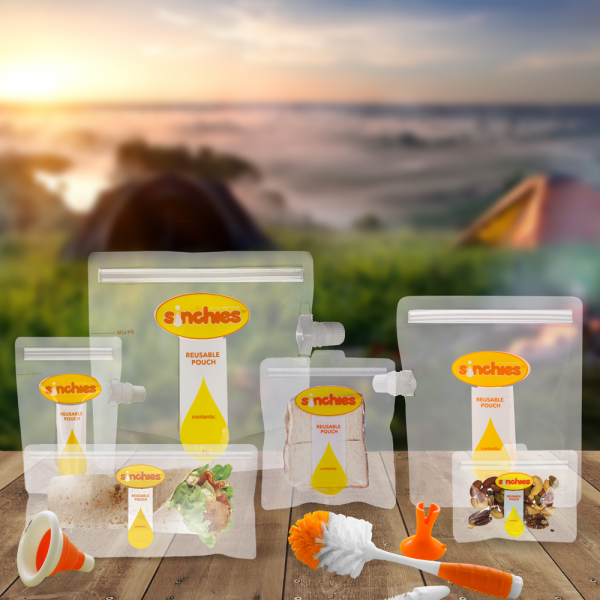 This handy little camping storage kit allows you to take your favourite things with you. Toiletries, washing powder & detergent, as well as food products like cereal, rice, cous cous, quinoa and you can even use them to freeze already cooked meals in or use them for your leftovers! They take up hardly any room and are so perfect when caravanning and camping! Please note that we are out of stock of the cleaning brushes at present so this kit doesn’t have one in it as the image shows. The price has been adjusted accordingly. Everything you need to go camping with, this Sinchies Camping Storage Kit is what you want. Simply fill these with your favourites, label them with a permanent marker, pop them in your caravan, camper trailer or car ready to go! 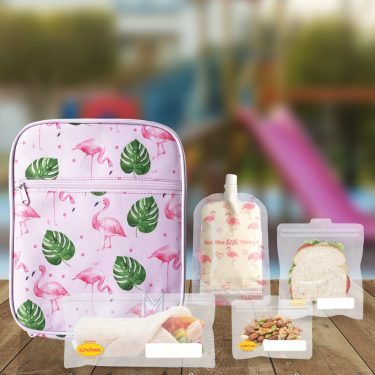 Ready to fill with your favourite cosmetics & toiletries, food and anything else you can think of! 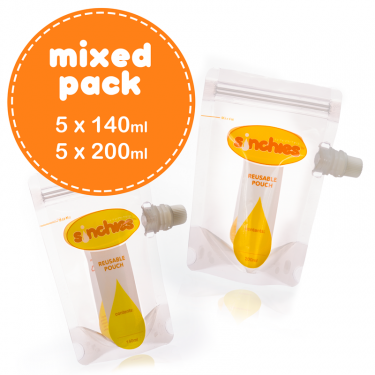 5 x 80ml pouches – great for sunblock, or if you make your own toothpaste. Perfect on international flights with the 100ml liquid restriction! 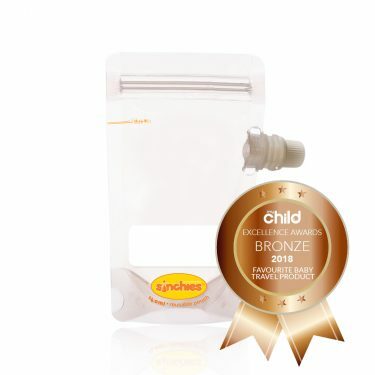 5 x 200ml reusable pouch size is the perfect size for toiletries, cosmetics or even washing liquid. Simply fill them up with as much as you need, seal them and away you go. 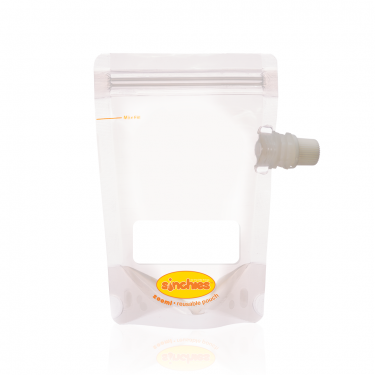 2 x 1litre pouches – handy to use as an external storage container. Simply fill the smaller pouches up with toiletries and then pop them into the 1 litre pouch. 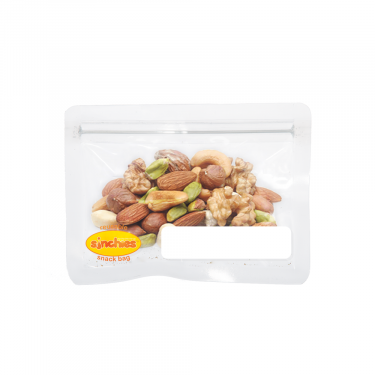 This ensures that there will be no leaks, especially with cabin pressure if you haven’t done the pouch up correctly. Use them as ice-bricks and then as they defrost you have nice ice cold drinking water available. Use them for milk or soups, cocktails and more! 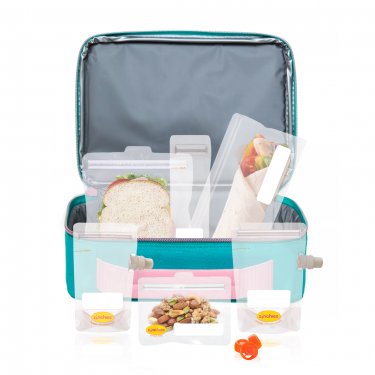 5 x Wrap bags The rectangular pouches aka Wrap bags – Are such a great size for storing your tooth brush and toothpaste, cutlery or cosmetics, medication or even a spoon, knife and fork – depending on what type of traveller you are. 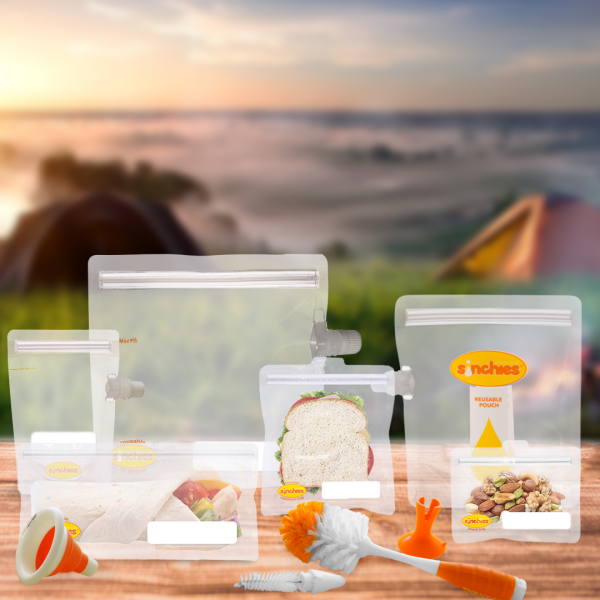 5 x Sandwich Bags – great for frozen meals, ready cooked rice, storing crackers and biscuits, left over meals, salads and more! 1 x Cleaning Brush – the best cleaning tool for all your pouches. With a big brush one end and a smaller brush the other end this is super handy!